If you’ve been arrested and charged with a DUI in Colorado, there is no time to waste. You need to act fast in hiring the services of a top-notch DUI attorney who will go to work for you, and ensure that you are represented fairly in your case. At the Law Office of Jill M. Jackson in Denver, we specialize in representing our clients throughout the full course of DUI and DWAI cases, from helping you to understand your rights to choosing the best course of action for your case. Our experienced team, led by Jill M. Jackson herself, takes an experienced and fearless approach to every case. Contact our DUI attorneys today to get started with your free initial consultation. We’ll get to work on your situation with an experienced approach to help determine the best plan of action. DWAI Charges – What Are They? In Colorado, the case may be such that you’ve actually been charged with a DWAI, rather than a full-on DUI. Compared to a DUI, a DWAI (Driving While Ability Impaired) is a lesser charge to some degree. A DWAI is charged in situations where people are impaired, but not legally intoxicated. In Colorado, you may be charged with a DWAI if your blood alcohol content is .05 or higher, meaning you can be arrested and charged even if you are just slightly impaired. This charge can still carry severe punishments, including the possibility of affecting your driving privileges. 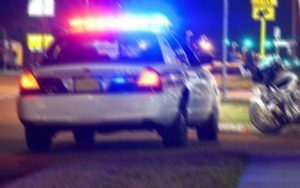 If you’ve been arrested for a DWAI, contact a DWI attorney at the Law Office of Jill M. Jackson in Denver today and get us working on your behalf. Colorado’s DUI penalties are among the toughest in the country. In fact, Denver’s own Westword Magazine ranked Colorado as the 18th strictest state when it comes to DUI penalties. What exactly will happen with your DUI charges in Denver or elsewhere in CO? The possibilities are endless and extremely complicated. That’s why it’s important to enlist the aid of a DUI attorney who will go to work for you in order to simplify the process and help you to understand your rights, potential consequences and the different options available to you. Typically, in Colorado a DUI first offense results in a 12 point charge on your license, which can lead to suspension of your driver’s license, fines upwards of $500, and in some cases up to 180 days in jail. The reason we recommend hiring a DUI attorney ASAP is that you have only seven days after receiving your license revocation or suspension notice to request a hearing. We have the experience to get things in motion for you, so call 303-818-7209 now to keep in front of the ticking clock. From start to finish, we are ready to walk alongside and help you understand your rights and the processes necessary to defend them. We understand that people make mistakes and that while those mistakes are sometimes life-altering, they don’t have to be life-ruining. Contact Denver’s trusted DUI attorney today at the Law Office of Jill M. Jackson to get started on your DUI defense.